on each and every job. Located in Southern California in the Los Angeles area, CAAGEFENCE services homes and businesses in the LA county. Quality craftsmanship and the highest levels of professionalism are standard in every job. Complete residential or commercial services including security fencing. Free estimates, comprehensive bidding, easy scheduling, and a step-by-step outline and line item cost analysis of each project. Residents and business owners in Southern California trust CAAGEFENCE. We service the entire Los Angeles county. Freddy and the crew were very professional and felt like family. Wasn't a easy job but they finished and left it clean. Would recommend them to any family and friends.! I hired them to repair two side gates. He came out, and gave me an estimate that I thought was fair. 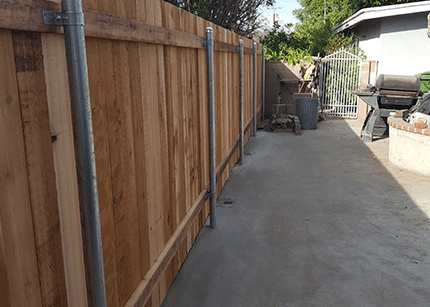 Other providers said I would need to replace the gates, this provider said he was able to reinstall the existing gates that would save me a few thousand dollars. The gates work fine now. Then I had him back to fix a pool fence, which he also did a good job on.